Will Megaupload's 28 Petabytes of Data Be Deleted? The Electronic Frontier Foundation (EFF) filed a brief on Friday asking a federal court to figure out a way to return data to MegaUpload users cut off from their files in January. Legitimate third parties who held the copyright for their data have not been able to access their files since January 19, according to the EFF. The file-sharing site was shut down due to copyright infringement allegations by the U.S. Department of Justice. Carpathia Hosting, which hosted much of MegaUpload's data, has since asked a federal court to either allow it to start deleting data or make other interested parties pay for its hosting, which it said costs US$9000 a day. The EFF's brief was filed in U.S. District Court for the Eastern District of Virginia on behalf of Kyle Goodwin, an Ohio-based sports reporter who used MegaUpload legitimately for storing videos. "It is one thing to take legal action against an alleged copyright infringer," according to the brief. "It is quite another to do so at the expense of entirely innocent third parties, with no attempt to prevent or even mitigate the collateral damage." Goodwin runs a business reporting on local sporting events and used MegaUpload as a remote backup, the EFF wrote. His hard drive crashed, but he was unable to retrieve his data after MegaUpload was shuttered. Carpathia has so fair maintained MegaUpload's 28 petabytes of data but said it can't access it. MegaUpload wants the data retained, but its funds have been frozen since the site was shutdown. The U.S. government said it copied the data it needs for the case. The Motion Picture Association of America (MPAA) has said it wants the data preserved since the organization may have civil claims against MegaUpload and users who may have infringed copyrights using the site. 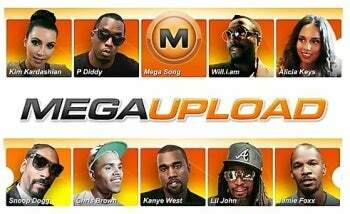 Seven people and two companies are charged with copyright infringement and money laundering in connection with MegaUpload, which federal prosecutors allege caused more than $500 billion in damages to copyright holders. MegaUpload's founder, Kim Dotcom, remains free on bail in New Zealand, although the U.S. plans to try to extradite him to face trial.